Calling groups, individuals and organisations in South London interested in their local heritage. 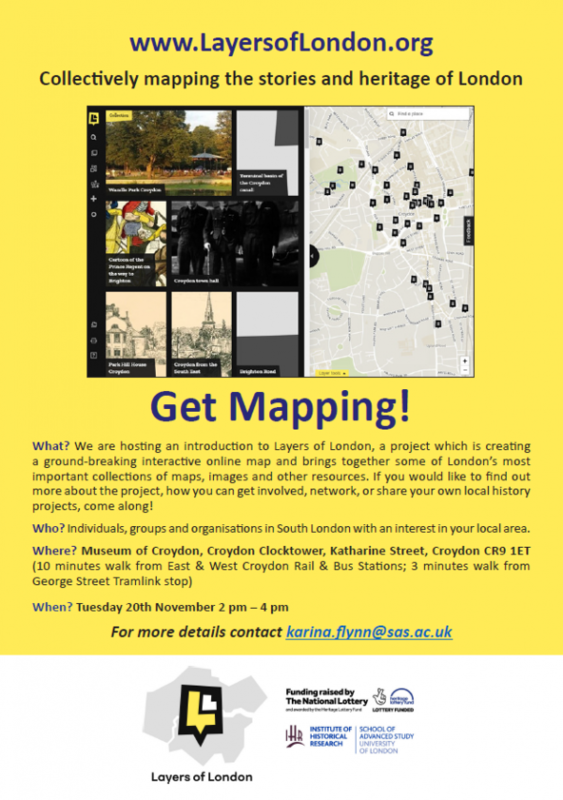 Come to our #getmapping event to meet other groups in the area, learn about the Layers of London project and our free resources, training, volunteer management. We work with many groups all over London to map their histories through our free, new website and we would love to learn about your work and how we might work together to get your histories, memories and stories represented! To RSVP please contact [email protected] - refreshments provided on the day!